I brought my Naked 2 just before they changed the packaging to match the box they do with the Naked 3. This just came in a cardboard foam support, with a light plastic box around the exterior. It also came with a mini lip gloss (shown below). The new boxes now come with a sachet of their primers, as you will see tomorrow with the Naked 3. As you can see the colour are just beautiful; with 12 shadows that range from cream to a matte black and is a good mix of shimmers, glitters and mattes. I love the packaging of these palettes - they are a very sturdy tin that satisfyingly clicks closed. They are quite slim but very long and the mirror inside is a great size. 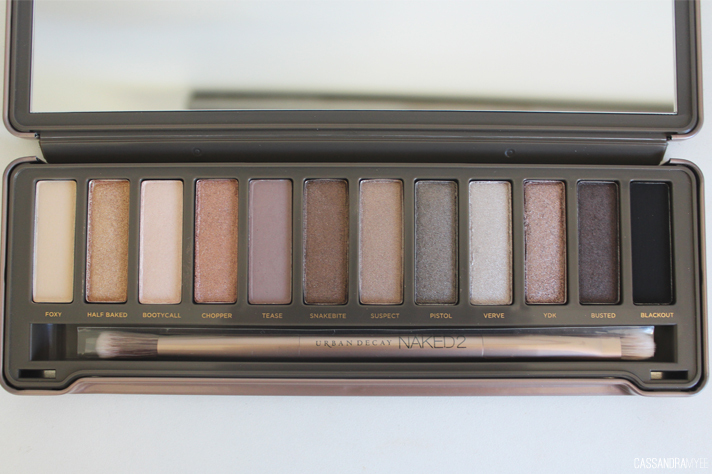 I love to travel with this palette, I know that it's not going to open, or get damaged at all. Included is a double-ended brush with a fluffier blending/crease brush and a slim, very dense packing brush - perfect for the shimmery shades. 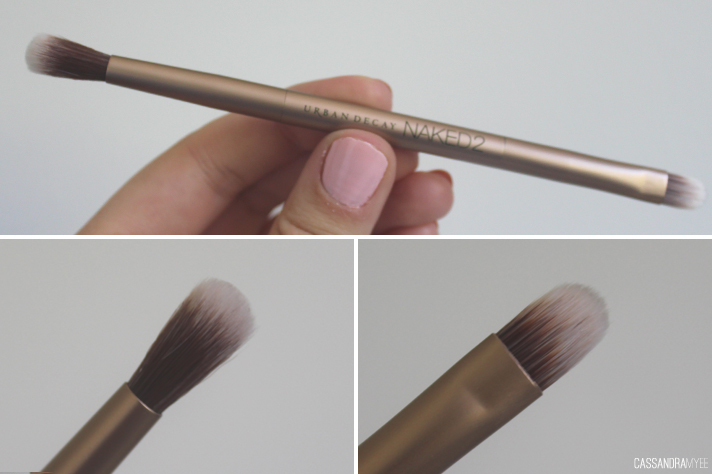 The brush is really high quality and washes up as good as new each time. As you would expect, these shadows are amazingly pigmented. 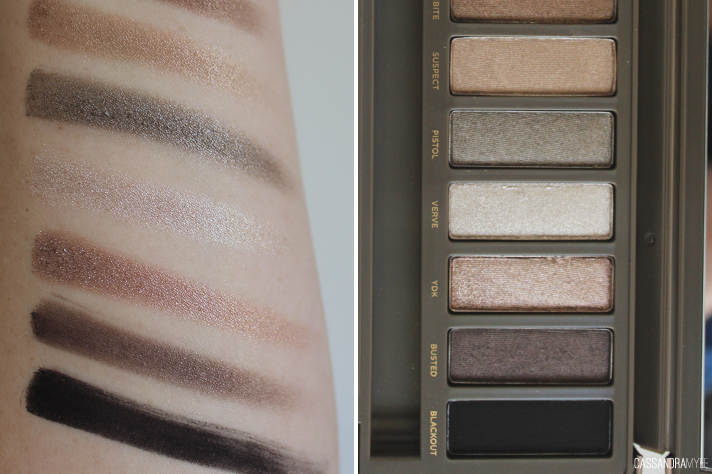 The mattes do not disappoint (much like the Naked Basics), and the shimmers are out of this world. They have that buttery, soft feeling to them and the quality was like nothing I had tried before - these palettes being my first 'high end' purchases. A couple of the glitters have a bit more chunkiness to them, but still have the amazing colour pay off, and I find the shimmer shades are the softest and glide onto the eye so easily. They take little effort to blend out and they stick around on the lid, especially with a primer underneath. Foxy - A yellow based cream, completely matte - great as a base. 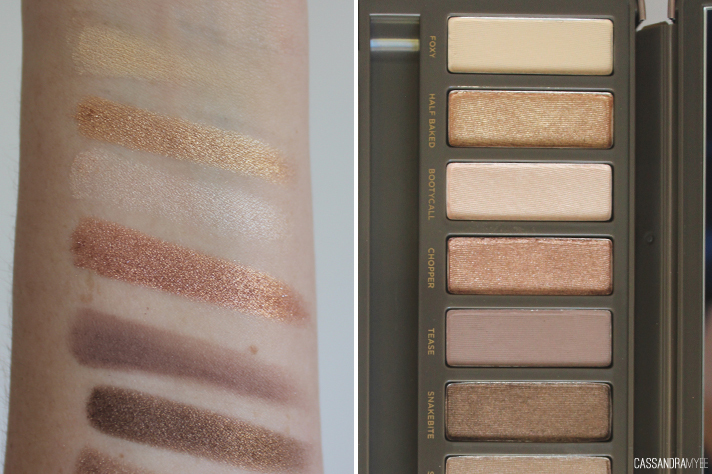 Half Baked - Shimmery golden goodness. Bootycall - A white shimmer - ideal for a brow bone + inner corner highlight. Chopper - Pink toned gold shimmer, with a hint of copper throughout. 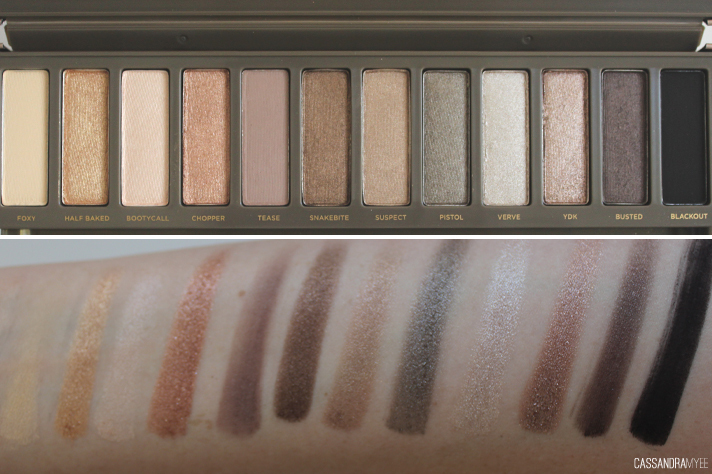 Tease - A mushroom/taupe matte shade - great to use as a blender colour through the crease. Snakebite - Shimmery mid-tone brown with golden shimmer through it. Suspect - Shimmer shade, light bronze with a hint of gold throughout. Pistol - Metallic mid-toned grey. Verve - The lighter silver version of Pistol. YDK - Gold, bronze shimmer - a bit of a rose-gold hint in some lights. Blackout - A total matte black - it means business. - One combo I do regularly is use my favourite shade YDK all over the lid and then use Busted just on the outside to deepen the colour. I will always go with Bootycall as a highlight shade in the inner corner. - For a cooler/grey toned eye; I like is Pistol all over, Verve in the inner third of the eye to brighten and then use Blackout as an eyeliner on the outer third along the lash line. - For something quick; Snakebite all over the lid and with a bit of Tease on a fluffy brush run this through the crease. With the older packaging, this little sample Lip Junkie Lip Gloss in Naked is included. 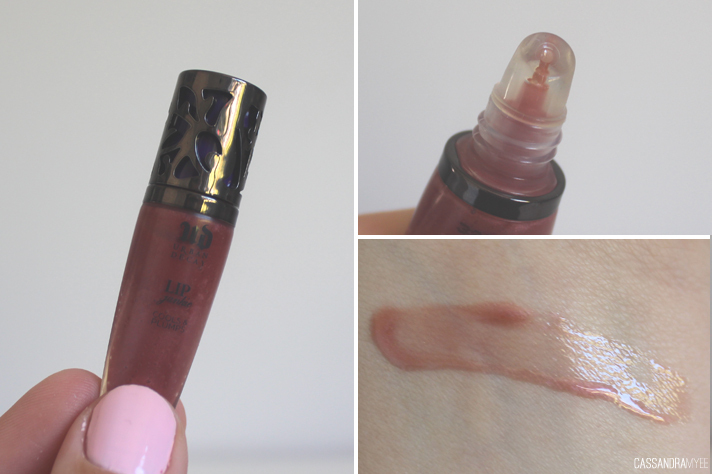 Although I am not a big lip gloss person, this feels non-sticky on the lips and gives a sheer wash of pink with a hint of shimmer. 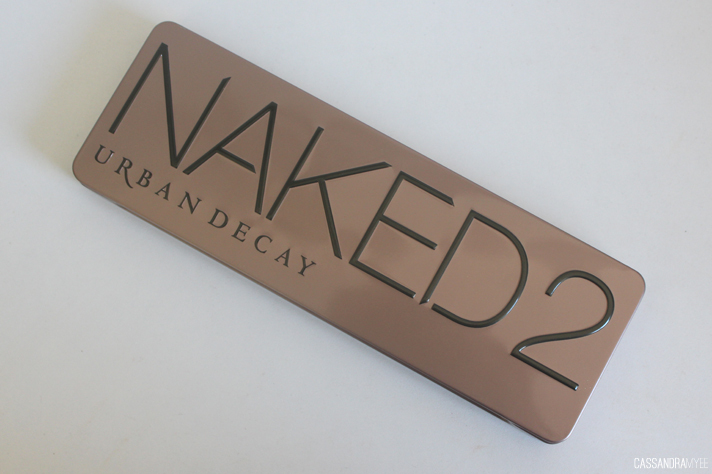 The best place to buy this if you are in New Zealand is from Beauty Bay - they have free worldwide shipping and the Naked 2 is approx. NZD $70. Please be extremely careful buying from Trade Me, eBay etc. as they sell a lot of fakes - if the price is too good to be true, then I would not go there! 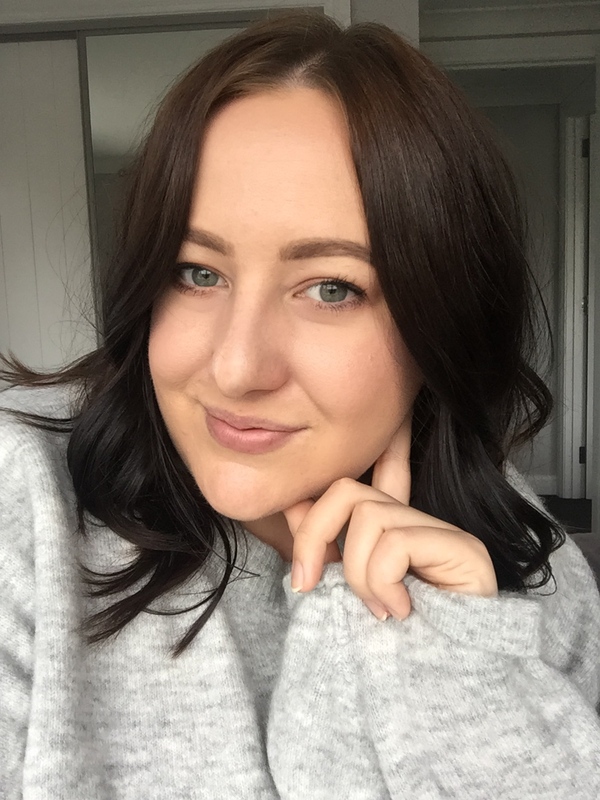 Fellow NZ bloggers, Hyacinth Girl, have an amazing post about replica makeup and the danger of it, which you should all read here. 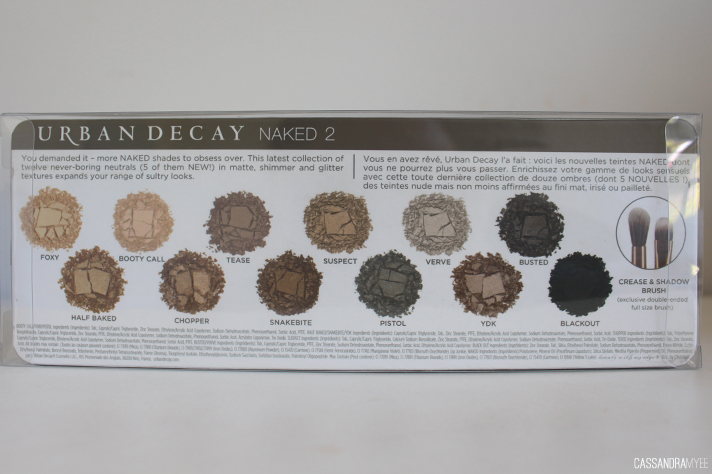 It is so easy to buy from Beauty Bay, or you could always Youshop/Ship It To from Sephora, or direct from the Urban Decay website - that way you know you are getting the real deal. It may seem like a lot of money but if you are a makeup lover, or looking to invest in some good quality eyeshadows, these palettes are the way to go and you will not be disappointed! 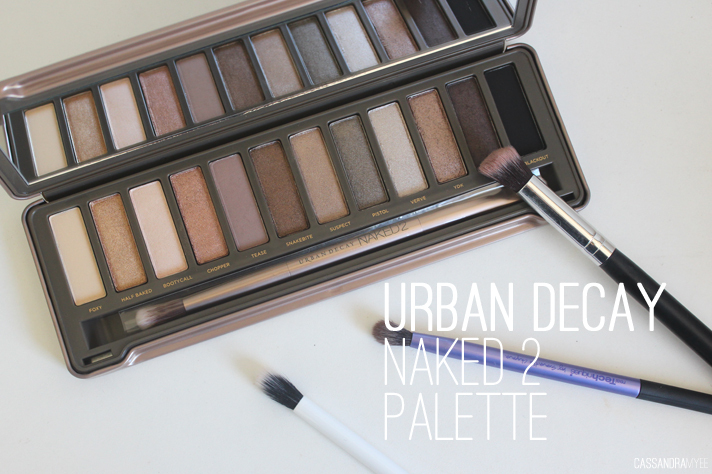 If you have the Naked 2 palette, let me know what eyeshadow combos you like to use! 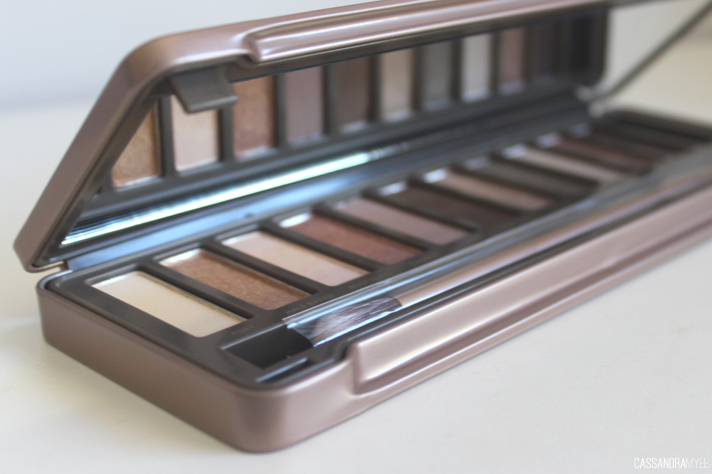 Stay tuned for the final post in the Naked trilogy tomorrow; the rosy-gold goodness that is the Naked 3.